While it is considered that amusement parks are created for children exclusively, this is not true. 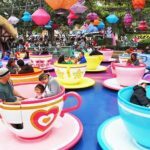 In fact, many adults with and without children greatly enjoy different types of amusements parks and carnivals. This is due to the fact that the adult is able to ‘take a break’ from societal responsibilities and have some childish fun for a few hours. 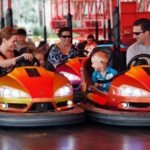 There are many theme and thrill rides available for attendants and this article will provide information on one of the most popular thrill rides available, the human gyroscope ride. 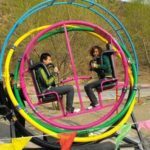 What Is A Human Gyroscope Ride? A human gyroscope amusement park ride presents with a round structure with three different sized rings that fit within each other. The rider is strapped inside the middle ring in either attached seating or with their hands and feet holding the edge of the circle. Once turned on, the rings will begin to rotate and move the individual in various tilting ways, including turning the rider upside down. It is a three dimensional ride very similar to the training rings used for astronauts; however, it is much brighter and enjoyable with music generally being played. What Considerations Must Be Made When Riding The Human Gyroscope Ride? 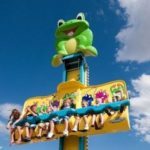 As one of the most technologically advanced thrill rides it has received much attention and is being used by people from age 10-50. 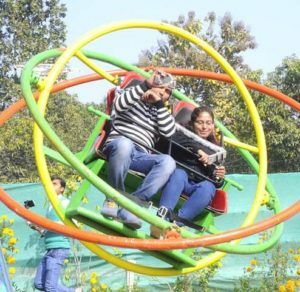 It is important that you are physically fit before using this ride and do not have any cardiac problems as this rides does ‘get the blood and heartbeat pumping’. 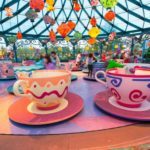 It is also important that you are not susceptible to dizziness as the ride does spin one around very quickly and will complete a full rotation turning you completely around in various directions. 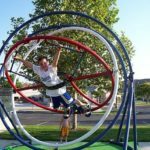 What Types Of Human Gyroscope Rides Are Available? 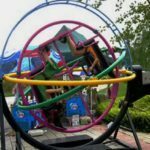 Presently there are three different types of human gyroscope amusement park rides: the four spin; the gyroscope extreme; and the spaceball 2000. The four spin is one of the most recent developments in human gyroscope rides. It is designed to accommodate several riders at one time, the general amount being four. To accommodate the different riders this thrill ride has seating instead of strapping the individual to the ring. This option is controlled using a VFD drive system and is the most similar to the astronaut training gyroscope. Unlike the four spin, the gyroscope extreme ride accommodates only two riders. It is smaller than the aforementioned design and the riders are strapped into seats with net backing to ensure safety. It should also be mentioned that this ride presents with only two rings. The spaceball 2000 is a single rider human gyroscope amusement park ride; however, instead of strapping the individual to the ring the rider will be strapped into a seat. This ride utilizes a hydraulic motor and is much lighter than the other options resulting in a speedier spin. 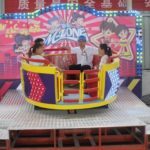 There are numerous types of amusement park rides and, as can be seen, one of the most thrilling is the human gyroscope amusement park ride. All of the aforementioned options can be used both inside and outside and are far safer than is assumed with a sturdy build and secure fixtures. By using the information above you can determine whether or not this ride is suitable for your needs.